Turkey is promoting "Commercial Receivables Insurance"
The Communiqué on the Working Procedures and Principles of the State Supported System including the Submission of Commercial Receivables Insurance for Small and Medium Sized Enterprises (“Communiqué on Procedures”) and The Communiqué on Tariffs and Instructions for State Supported Commercial Receivables Insurance for Small and Medium Sized Enterprises (“Communiqué on Tariffs”) were published in the Official Gazette dated 24 December 2018. The purpose of the Communiqué on Tariffs is to set out tariffs and instructions for the state supported commercial receivables insurance (“Insurance”) for Small and Medium Sized Enterprises (“SME”) established by the Resolution of Council of Ministers dated 4 June 2018. 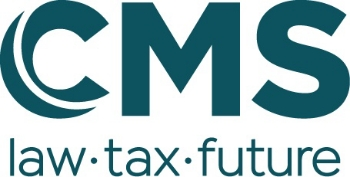 In the Communiqué on Tariffs, it has been regulated that insurance companies who have a licence in Credit-I and wish to operate within the scope of the state supported system (“System”) including the submission of Insurance for SME must establish a protocol with the Extraordinary Risk Management Center (“Center”). By executing this protocol, they will join the System and all the principles that are applied to insurance companies in the System will apply to them. b) they meet the risk assessment criteria determined by the Center. Micro and small enterprises are here defined according to the Regulation on the Definition, Qualifications and Classification of Small and Medium Sized Enterprises (“Regulation”), which was put into force by the Resolution of Council of Ministers dated 19 October 2005. Article 6.1 of the Communiqué on Tariffs further stipulates that the criteria to be used for risk assessment of recipients (“alıcı”) who are subject to be given securities in the scope of the Insurance will be determined by the Center. Accordingly, recipients comprising at least fifty per cent (50%) of the enterprise’s turnover derived from forward sales (“vadeli satış”) will be sorted from large to small in terms of the turnover size of the enterprise will be considered in the risk assessment. In the risk assessment, each recipient will be given a score between one (1) (lowest risk) to six (6) (highest risk). Pursuant to the Communiqué on Tariffs, the total credit limit provided to all recipients, except those that constitute at least fifty percent (50%) of turnover of the enterprise that applied for Insurance, could be as high as the maximum credit limit provided to one recipient according to the above table. In addition, each recipient must pay an inquiry fee of TRY 10 (ten Turkish Lira) for the risk assessment. If an insurance agreement is drawn up, each recipient must pay an additional inquiry fee of TRY 10 (ten Turkish Lira). The premium amount determined according to the above table is collected by the insurance company. If the total amount of the premium is paid in advance, a ten percent (10%) discount will be applied over the tariff price. In addition, it is possible to make payments in instalments by credit card and other similar payment methods provided that at least twenty five percent (25%) of the premium amount is paid in advance and the rest is paid in maximum three instalments. Furthermore, the Communiqué on Tariffs provides that within three (3) months of the effective date of the Communiqué on Tariffs a ten percent (10%) discount will be applied to premium amounts of the policies to be calculated according to the above premium procedure and the combined discounts will be applied collectively. In the Communiqué on Tariffs, it has been regulated that the security rates to be implemented for recipients who are provided with a credit limit within the scope of the Insurance will be identified in the insurance policy and those security rates will be between seventy percent (70%) and ninety percent (90%) according to the recipient’s score. In addition, if the losses occurred in the period of the Insurance falls below TRY 2,500 (two thousand five hundred Turkish Lira) it will be covered by the policy holder; if exceeds this amount, it will be covered by the Center in line with abovementioned security rates. The Communiqué on Tariffs indicates for policies annotated loss payee (“dain-i mürtehin”), the infrastructure must be established in the Insurance Information and Observation Center for electric monitoring of insurance agreements by a credit institution with the title “loss payee” for reasons such as termination, cancellation, revision of the insurance agreements or a change to the credit limits therein. The portion of the risks covered under the System, but which cannot be secured by the national and international insurance market, capital market and similar markets are undertaken by the State in return for a reasonable price. The procedures and principles of the State reinsurance support are to be determined by Presidential Decree in each relevant year. Finally, it is important to underline that although both the Communiqué on Procedures and Communiqué on Tariffs entered into force on 1 January 2019, the provisions of the Communiqué on Procedures in relation to use of the receivable insurance as security will not enter into force until 1 March 2019.